A few years ago, it was almost impossible to buy a laptop for 300 dollars with superior performance. Often, at this price point, they came with a time lag due to the smaller memory size and poor processor, which affected the user experience. As a result, purchasing a PC costing around $300 was not recommended. With the development of technology, the laptops have become cheaper and cheaper, the 300-dollar laptops also have relatively good performance, they are generally equipped with Intel Pentium N3530, Intel Celeron 3205U and other processors, coupled with 4GB of memory, they are enough for us to do some light work. With the evolution of technology, the laptops have become cheaper and cheaper. Even the 300-dollar laptops have made performance improvements. Coupled with 4GB of memory, they are equipped with Intel Pentium N3530, Intel Celeron 3205U, and other processors, which make them good enough for performing light work. For playing games, editing videos, and other heavy computing needs however, it is still unrealistic to select a laptop under 300 dollars. They are often equipped with an integrated graphics capability with display performance that comes short of meeting the gaming requirements. We recommend you to increase your budget to around 500 dollars. Of course, if you just enjoy playing some older games, there are still some models at this price point that will meet your requirements. Next, we’ll share several laptops, which are divided into two categories. First, for office use, we recommend very popular laptops around $300. Their configuration and performance-cost ratio are the best. However, due to lower requirements for graphics, we will select the laptops based on Intel platform to ensure better overall performance. For the gaming category, we will recommend laptops that are equipped with APU platform as the integrated graphics that APU platform uses has better gaming performance than that of the Intel processor. At the same time, we refer you to the users’ reviews on Amazon as it can help you make the right selection. 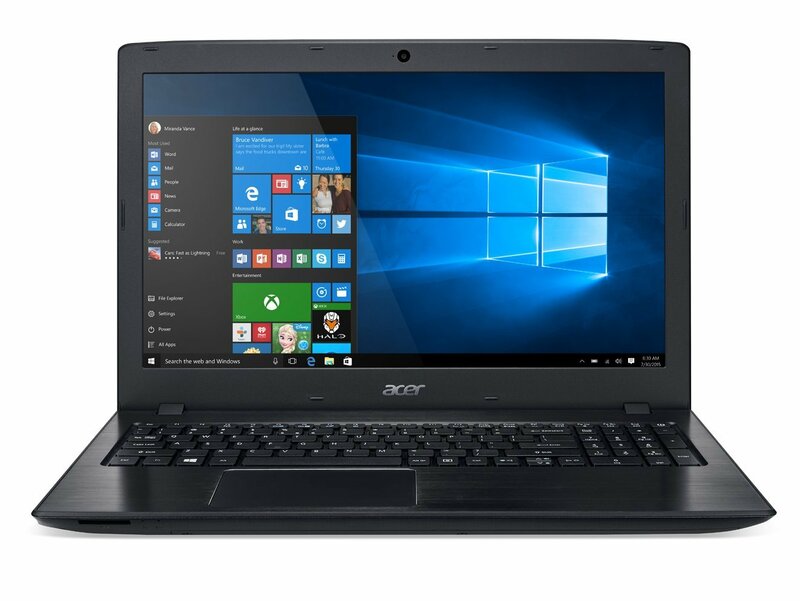 The Acer E5-576-392H laptop is an affordable 15.6-inch rig at a reasonable price. With a solid Intel i3-8130U processor and 6 Gigabytes of Dual Channel Ram, the performance of the laptop is pretty neat considering all the multimedia tasks we do each day. It has an integrated graphics of Intel UHD 620 which is ideal for basic gaming and has a hard disk capacity of 1 TB. The full HD resolution display with a 1080p resolution is a bonus but the old TN display panel with narrow viewing angles made the laptop lose out in the display aspects. The outer case of the laptop is plastic finish but it does have good aesthetic appeal to it. The Acer E5-576-392 H comes with a built-in DVD burner which other laptops in the price segment mostly lack. The build is plastic material but comes with a matte finish which adds a look of premium touch to it. The laptop is easily serviceable or upgradeable unlike other laptops in this range. The keyboard is solid and the trackpad works well, though not a great performer. This laptop lacked touch screen which would have been a great add-on especially with the Windows 10 OS it comes bundled along with. 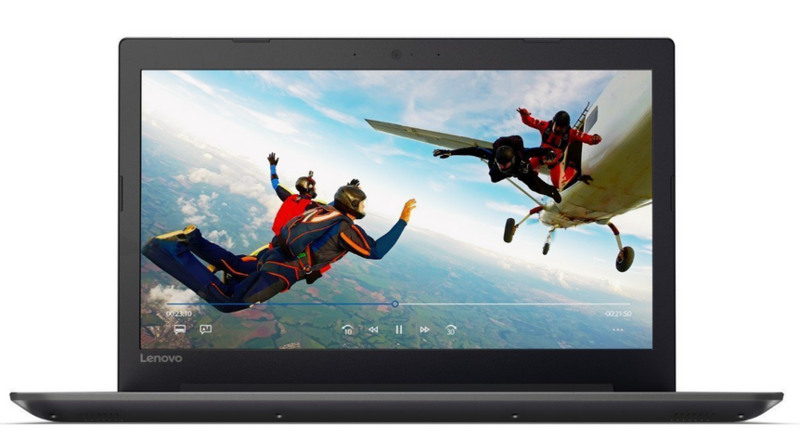 The connectivity and networking aspects of this laptop are solid and it comes along with a 720p HD webcam and standard speaker sets. The laptop comes along with other features such as Ethernet LAN, Bluetooth connectivity, 1 USB 2.0 port and two USB 3.0 ports. It also comes along with a standard USB 3.1C connector, VGA and HDMI output connectors. Also, included along with are a headphone jack and a multi-format card reader. The battery life as claimed by Acer is a tremendous 13.5 hours of usage time. But considering the 2800 mAh battery capacity of the rig, 13.5 hours normal usage time might be a tad too much in reality. We can expect a total of about 6 to 7 hours of usage time. If you are looking a typical gaming laptop, then this might not be a perfect choice. Also, the colours were not vibrant enough and appeared washed out. Apart from these main reasons, this laptop from Acer has all the reasons to be a solid performer with a neat configuration and decent display. If your activities include the only day to day tasks and processing, then, by all means, get this one asap! 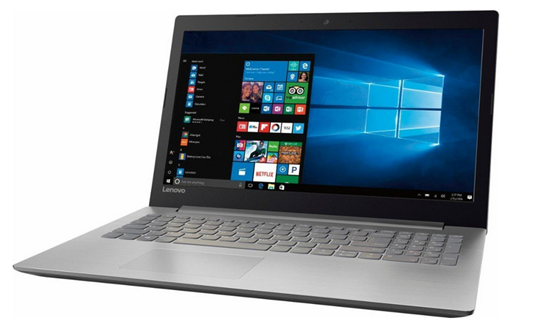 The Lenovo Ideapad is a budget performer for day to day tasks. Nothing quite special when compared to other laptops in the price segment but an overall decent performance with a few flaws here and there. It comes with an Intel Celeron N3350 Dual-core processor at 1.1GHz which is an old processor comparing with the present Intel I series ones. The Ram is of 4GB DDR3SL SD RAM which can be expanded up to 8 GB. The screen is LED backlit and the screen size is 15.6 inch. The resolution of the laptop is on the good side of this budget with a 1366* 768 res and the anti-glare technology helps improve the overall clarity of the videos and pictures. The hard disk capacity is 1 TB at 5400 RPM. The laptop also comes with basic features like 4-in-1 memory card reader and also a DVD/CD drive. It comes preloaded with a Windows 10 home 64-bit version and has an inbuilt Intel HD Graphics 500. The other add-ons for the Ideapad 320 are 802.11ac Wireless LAN, Bluetooth 4.1, Ethernet, DC-in and an HDMI port along with a headphone jack. There is also a USB 2.0 port with another USB 3.0 Port. The laptop gives about 4 hours 30 minutes of usage time. The Lenovo Ideapad 320 can get most of your day to day tasks done. This laptop can only be used for multimedia tasks and other basic activities and is not designed for gaming. You simply cannot even think about playing casual games at a good resolution with the processor it houses. The system does tend to lag after regular use for a period of time. Overall, the 320 is an ordinary casual laptop for our everyday needs and you cannot expect anything out of the box. A lot of other options are available under 300$ and unless you are a Lenovo fan, you might be better off looking elsewhere! 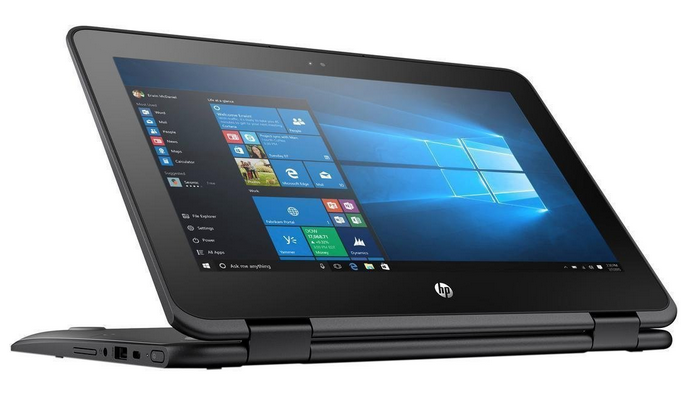 The HP X360 Probook is more like a representative from the netbook category and tailored towards the education industry. The build is entirely plastic but feels solid and rugged. It comes with an Intel core Celeron N3350 processor and 4 Gigabytes of DDR3-SL Ram. This configuration is good enough to perform your daily tasks smoothly but you might have to think about upgrading your Ram to 8 Gb if you work on a lot of parallel tasks. The HP X360 Probook comes with a 64 GB of solid state drive. The 11.6 inch diagonal HD SVS SVA Touch Screen is impressive. It comes with a screen Resolution of 1366*768. The battery life is pretty decent with almost 6 hours of on-screen usage time. It comes with 2 USB 3.0 ports, 1 USB type C port, headphone jack, RJ45, an HDMI port, Dual Channel Wi-Fi and an SD slot for memory cards. You can also swing out the screen of your ProBook at 180 degrees to make it look like a tablet. So the ProBook is basically a mix of both worlds. The Touchpad and keyboard work well but the sound output clarity was not up to the mark even though it housed an HD Dual audio speakers. The system comes bundled with Windows 10 Operating system pro version. Considering the price point, this laptop right here is a decent buy. Just decent and nothing more because it lacks certain aspects that would make a laptop stand out from the crowd. The configuration is good enough but the speaker quality could have been vastly improved. Touchscreen worked well and getting around casual tasks each day with the ProBook made it easier. If you are looking for high-end processing tasks, you are better off with a bigger rig, yet the ProBook has established a name for itself in the Tab-PC combo. 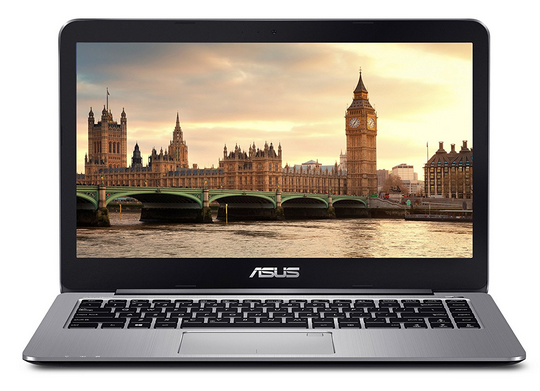 Getting more value for the money spent is what happens when you get your hands on an Asus Vivobook E403NA-US04. The build quality and display is something we ought to sacrifice when shopping at this price segment. But this laptop is not a let down by any means. The build looks premium and has aluminium on its lid and plastic elsewhere. The laptop is also not too heavy and is might enough for the regular commute. The screen size is 14 inch and it has a resolution of 1080p with a Full HD display. The colour quality was a tad bit compromised and this can be seen clearly when watching movies or playing games. Also, the viewing angles could have been better especially when viewing at more than 60 degrees to each side. If these could have been notched up, then the laptop would have been a killer in terms of display performance in this range. It comes with a wide array of ports for your regular needs such as 2 USB 3.0 ports, 1 USB type-C port, an HDMI port, an SD card reader and a headphone jack. The Sound quality is pretty decent with little to no distortions in the playbacks. Asus also offers many music profiles accustomed to your requirements. With an Intel Celeron N3550 processor, 4 Gigabytes of DDR3 Ram and 64 Gb eMMC Flash Storage, the Asus Vivobook E403NA simply will not win any speed tests but is a solid performer when taking the day to day tasks in consideration. It comes bundled with Windows 10 OS and has an integrated Intel HD GPU which is ideal for HD streaming of videos but not for gaming purposes. The keyboard performed well but the touchpad was slippery and it takes time to get adjusted to it. The battery gave a user time of more than 8 hours which was decent when compared to its peers. With decent performance, neat display and a solid build the E403NA-US04 is nothing short of an amazing buy at this price segment. Charging via the type-C port could have been an amazing add-on but that was not present in this case. Overall, a lightweight performer without being overpriced, this laptop from Asus has a great potential. There is no big competition in the very basic segment of the laptop market. This is where Lenovo decided to strike by launching its Ideapad 110-15ACL which meets all the very basic needs of a casual user. The screen size of the laptop is 15.6 inch which is pretty decent for budget laptops. The build quality is good with an overall textured finish even though the body is mostly plastic. The textured finish does give it a bit of aesthetic feel. An array microphone and a VGA webcam are the add-ons on top of the screen. The keyboard spacing is decent enough and gives good feedback. The trackpad too did not fail to disappoint us. It houses an AMD A6-7310 processor running at 2.0 GHz. Also, it comes along with an integrated graphics of AMD Radeon R4 graphics with 4 GB of DDR3L-SDRAM. This is good enough to flawlessly run all your basic day to day tasks. The storage is also a 500 GB HDD which should suffice if you do not store too many movies and other files. The ports include Ethernet port, a USB 2.0 port, a USB 3.0 port and a headphone jack. Also, a card reader along with an optical disk drive is available. The resolution of the laptop is a 1366*766 but lacks HD display. Of course, you cannot expect HD display at this price segment. The viewing angles are decent and the colour reproduction was above average. Usability under direct sunlight was also not an issue provided you put the brightness level to max mode. The Ideapad 110-15ACL is ideal for anyone looking at a very basic laptop for daily use. Except for heavy multitasking and gaming purposes, this one should do the trick for people with a very tight budget. The build quality and display were not bad either and this makes it worth every penny spent on it. Google’s entry into the laptop field are the ChromeBooks. Designed for web use, they use a slimmed down operating system. Turn on a ChromeBook and, in just a few moments, the login screen will appear and you can instantly log into your Google account. Once you have logged in, you will notice an environment similar to a Windows 7-style desktop, complete with application launcher, system tray, and taskbar. From this desktop, you can only run Chrome apps and the Chrome web browser. Simplicity is the key to the ChromeBook. The Chrome web browser is the only thing you have to work with. If you, like many others, are a person who normally uses multiple web browsers on your computer, this aspect can be quite liberating. No complicated operating system is hiding under your web browser for you to worry about, no window type viruses, startup programs are not there, and best of all, there is no preinstalled bloat-ware slowing your system down and filling up your system tray. There is no need for you to run system utilities or antivirus programs. What you have in front of you is a laptop that boots extremely quick, to a full desktop version of the Chrome web browser, including a touchpad and a keyboard; that’s all there is! One thing that is important for you to consider before buying a ChromeBook is what you will be utilizing the laptop for. If you are planning to use your ChromeBook for programs like Photoshop, think again; it cannot be used for this kind of program. If you want to do CAD work or any other tasks that utilizes advanced tools not found on the web, then you need to forget about getting a ChromeBook; it just won’t work. Once again, if the latest PC games are what you have in mind, then this system is not for you. Of course, if all you really need is a web browser, or if you can get by with just a web browser, then a ChromeBook is something you may want to look at. These days, there is a lot that can be done with just a browser. The desktop version of Microsoft Office cannot be used on a ChromeBook. This means you cannot use mail merges or Excel macros. There is, however, a free version of office provided by Microsoft, called Office Web Apps. It works with your browser and it will run on a ChromeBook. This will allow you to use at least the basics of Office on a ChromeBook. ChromeBooks do not have much integrated storage as they have been optimized to be used with web-based services. Usually they come with only 16 GB of internal storage. Fortunately, this is extremely fast SSD–based storage, which enables your ChromeBook to run and boot quickly. Not having very much storage available encourages you to not rely on local storage. Even though ChromeBooks are able to do many things off-line, they are not as versatile as a Mac or Windows system when there is no Internet connection available. 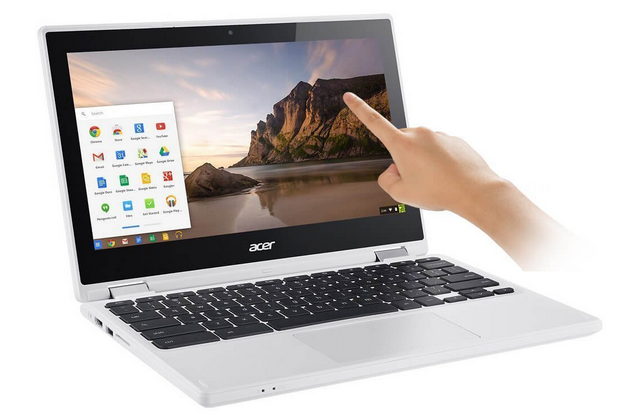 In the list of companies that partnered with Google’s Chrome OS project, Acer has been among the first few brands. They have Chromebooks for various categories but what makes R11 stand out is the fact that is it is a convertible laptop with its 360-degree hinges. The chassis is neatly built and the laptop comes with a diamond pattern look-a-like finish. The outer lid of the laptop is made out of aluminium or that’s what the company claims. The laptop can be flipped well and is usable in 4 different modes. There is also a 10 point multi-touch support. The screen size is 11.6 inches and is a widescreen LED-backlit display with a resolution of 1366*768 pixels. The ratio of the screen size is 16:9 and it offers good colour reproduction along with neat viewing angles. The processor is an Intel Celeron chipset running at 1.6 GHz. It houses 4GB of DDR3 SDRAM. The processor frequency can be boosted up to 2.08 GHz via Intel’s Burst Tech. The storage can be a huge problem. Like other Chromebooks, this too comes with storage of 32 GB of solid state internal storage drive but has an SD card slot as a backup option. Talking about the ports, it has one USB 3.0 port, a USB 3.0 port, an HDMI port and also a headphone jack. The R11 is also packed with the latest MIMO Wi-Fi technology which provides smooth internet experience. The R11 also comes with a Chrome OS inbuilt which is pretty stable and runs well. The battery life was pretty impressive with usage time of over 10 hours. If you are looking for a good laptop that offers good touchscreen capability as well as an impeccable battery life, then the Chromebook is the one for you. Especially, if you like experimenting with the 360-degree hinges. If hard disk space is an issue, then you should probably go with something else. Rest assured, this is a great buy in this budget segment. The Chromebook from Samsung is a solid device ideal for both students and frequent travellers. With a good build and great portability, this offers a lot of promise in the sub 200$ category. Coming to the design, the Chromebook looks good even though it is made of plastic. The hinge allows tilting of up to 180 degrees and the chassis offer comfortable palm rest too. It is small and portable and ideal for tucking under your arm when travelling. When it comes to ports, the laptop has a USB 2.0 port, an HDMI port, a micro SD card reader and a USB 3.0 port. Along with these, there is also a headphone and audio jack combo. The display is what steals the show when it comes to the Samsung Chromebook. It has an 11.6-inch screen with a 1366*768 resolution. The LED display is very bright at 259 nits. The viewing angles also did not disappoint with a decent view at an angle of 45 degrees on each side. The colour reproduction too was outstanding and did put its competitions behind. Colour range was the only issue found in terms of the display which can be neglected considering the other great aspects. The speakers were good enough to fill a small room but lacked the “wow” factor and could have oriented for our fingers. Last but not the least, when coming to the performance, this Chromebook does well in terms of web surfing and other day to day activities. It has a 1.6 GHz Intel Celeron N3060 Processor and with an Intel HD Graphics along with 4 GB of RAM. Also, the capacity is of 32 GB of internal storage which is pretty low. The performance of the Samsung Chromebook is undeniably good compared to its peers in the price segment. The storage can be a big issue but one can cope up with the addition of SD cards. With a solid display and good touch response along with an amazing keyboard, the Chromebook has set a benchmark of its own among other Chromebooks from various brands. 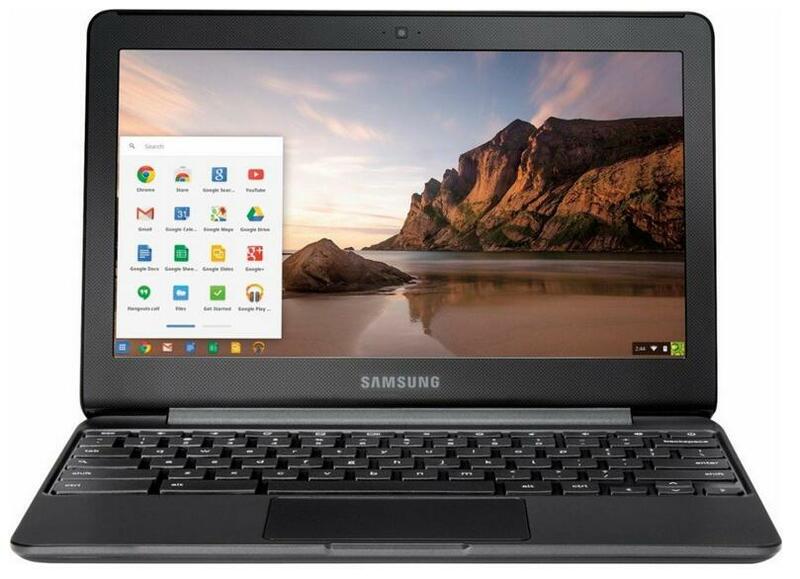 The entire incidental wears and tears in your home or school environment can be handled well by this Chromebook. That was one of the sole purposes that go into its production. 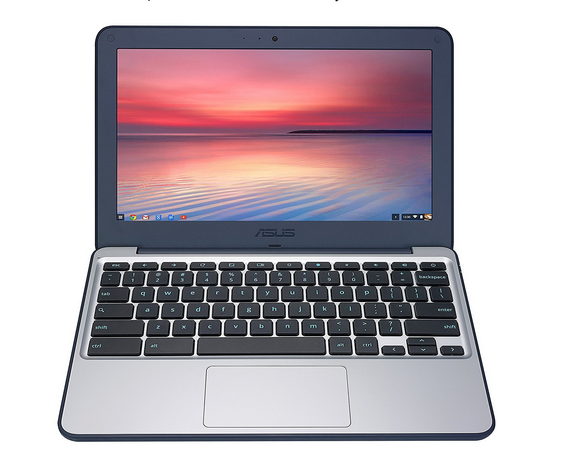 We have the Asus Chromebook C202S which is quite the bargain for its price. The build quality is the crowd puller of this Chromebook. It has a rubber bumper going around the lid covering it all the way. The bottom also has rubber foot that goes all the way back. Balance and comfort are what the Chromebook provides best in terms of build quality. Also, it is waterproof up to a certain extent which adds on to its value. There are two USB A ports on either side with USB 3.0 speed and has other ports too such as the SD card slot, an HDMI port, an audio jack and also an AC jack. It comes with Bluetooth 4.2 and dual-band Wi-Fi support. The stereo speakers which come along offer acceptable sound but is not great. The display consists of a screen of 11.6 inches with a resolution of 1366*768 pixels. The viewing angles were just average but the Chromebook also came with an anti-glare coating. It has an Intel Celeron N3060 processor running at 1.6 GHz and 4 GB of LPDDR3 RAM. It also houses an integrated GPU of Intel HD Graphics 400. The storage is a miserable 16 GB but something you would not be surprised in terms of a Chromebook. Though not for web gaming or graphics intensive tasks, the Chromebook did well on other basic day to day activities. If you are planning to get a Chromebook for yourself, do not expect high performance rather go for specs that would impress otherwise. Asus made an amazing Chromebook in terms of build quality which is undeniable considering the competitive pricing in the budget segment. This Chromebook is a highly recommended device from Asus. 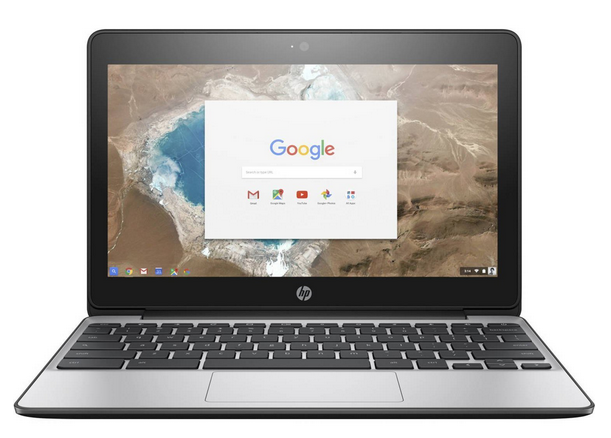 The HP Chromebook 11 G4 is placed among the mid-range of budget laptops. It has slowly started replacing the netbooks with a different type of OS, that is the Google Chrome OS. Starting off with the build quality, this Chromebook is plastic made but with rubber innings around the bezels that would protect it from the keyboard when shut. The screen size is an 11.6-inch display with a resolution of 1366*768 pixels. The viewing angles are limited due to the symmetrical vertical array (SVA) and the brightness level is only 198 nits which are quite average. The Chiclet styled keyboard layout is well spaced but the keys felt much plastic and are not impressive. The connectivity options in the HP Chromebook included one USB 2.0 port, an SD card slot, a USB 3.0 port with charging capability, an HDMI port and a headphone/audio jack combo port. It also has a dual-band Wi-Fi and Bluetooth 4.0 connectivity option. The performance is good enough for day to day tasks with its Intel Dual-core Celeron processor rated at 2.16 GHz and 4 GB of DDR3l-1600 SDRAM. The storage specification of the 11 G4 was only 16 GB eMMC. This could have been at least a 32 GB storage capacity compared to other Chromebooks in the price segment. The battery life was just mediocre with an average usage time of 7 hours. In terms of Chromebook’s battery life, it could have performed much better. The HP Chromebook 11 G4 offers a good built and performance compared to others in this segment. Though it does have some shortcomings such as the storage and the keyboard, it does fall way behind its counterparts. At this price segment you do have other options too but when configurations are considered, this is a good deal. 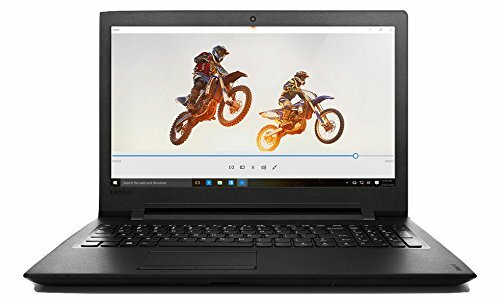 Checked again, and it looks like the Lenovo model you show above, Lenovo G50 A8-6410, is on Amazon for $330 (not sold by Amazon, but fulfilled by them). I think the Dell is worth buying, the Intel core i3-5005U is more power than Intel Pentium N3540, the Integrated Graphics Intel HD Graphics 5500 is good for playing older and retro games.